Find Our Office! or Call 913-440-0333New Patient Paper Work! We treat the entire family, from pregnancy & infants all the way through to your golden years. We specialize in finding and correcting spinal misalignments that impede proper nerve flow and function. Pregnancy imposes unique stresses on the mothers body typically seen around the low back and hips. Gentle chiropractic care can help reduce the physical demands on both mom and baby helping decrease labor time and pain. From birth to adulthood, chiropractic care can help maintain proper body function, which in turn can lead to faster healing and improved posture. Whether you or your child has had a recent fall, bump, or is suffering from ear infections, colds, improper sleep, teen “text-neck”, or complaining of muscle aches from your most recent workout, Chiropractic can help. Aging is part of life, and pain is often called a normal part of that process. Pain is not normal and shouldn’t limit the best years of your life. Gentle chiropractic adjustments can help restore natural form and function, allowing you to get back to doing the things you love. Whether your airbag deployed or not, you could have damage due to even low impact fender-benders. If you’ve been in an accident of any kind, it’s worth getting checked out by a chiropractor. It’s important to get evaluated as soon as possible after an accident, even if you’re not in pain after the accident. Pain is often the last symptom to appear. Add life to your years. At Unruh Chiropractic and Wellness we believe the nervous system holds the key to the body's incredible potential to heal itself. The nervous system controls and coordinates all organs and structures of the human body. Manipulative therapy involves specifically directed forces to the body that improves mobility in the areas that are restricted restoring nerve flow and function. We practice a drug-free, hands-on approach to health care that includes patient examination, diagnosis, and treatment. Chiropractors have broad diagnostic skills and are also trained to recommend therapeutic and rehabilitative exercises, as well as to provide nutritional, dietary, and lifestyle counseling. Over time even the smallest trips, scrapes, and falls can affect how our body copes with these subtle changes. "As the twig bends, so grows the tree." What we put in our body, whether it's good or bad will effect our body. These choices affect our health, growth, and development over time. Our health can be greatly affected by how we think, feel, and act. Mental and physical health are key factors in your long term health. The nervous system controls and coordinates all organs and structures of the human body. Proper nerve flow opens the door to a pure, natural health. Chiropractic brings out the vibrance in us all. Take a moment every day to enjoy the small things in life. 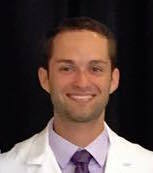 Dr. Unruh earned his bachelors degree in Athletic Training and minored in Kinesiology at Kansas State University. He then attended Cleveland University where he earned his Doctorate in Chiropractic. “My baby boy was getting ear infections and with Dr.Unruh’s adjustments they went away and stayed away. He almost had to get tubes in his ears! I could not be happier. I met Dr.Unruh at our church. I told him that I couldn’t walk down our 11 stairs to do the laundry. After just a few treatments I was back to my old self. I couldn’t be more happy, I just wish my husband would walk with me more now!!! I worked at a meat packing plant for years it was a lot of hard work. I came to Dr.Unruh after I could barley turn my head to the left without awful clicking. I tell you what, before I saw Dr.Unruh I didnt know what good felt like, well I do now! He listened to my problems, and my stories and he helped me. I couldn’t be happier. I know he can’t make me 18 again, but this is close enough. I was in nursing school and pregnant with my first child. I sat in classes all day long, which was fine, but after sitting like that for a while, when I stood up my back hurt like I didn’t know was possible. I saw Dr.Unruh once a week during my last 2 months of pregnancy and the pain was almost none existent and my labor was only 3 hours! Baby Blaire and I are doing great! Were both still seeing Dr.Unruh too!